All our system have been tested with Linux/Ubuntu and they do work properly. Until recently the only known restriction is you could not use a Killer wireless card with Linux/Ubuntu. Recent releases of Linux has resolved this issue. Can I disable G-Sync temporarily on my Eurocom Notebook? Can I upgrade my system to use NVidia G-Sync? G-Sync is a proprietary adaptive sync technology created by NVidia to eliminate screen tearing and the need for software deterrents such as Vsync. G-Sync eliminates screen tearing by forcing a video display to adapt to the frame rate of the outputting device rather than the other way around, which could traditionally be refreshed halfway through the process of a frame being output by the device, resulting in two frames being shown at once. 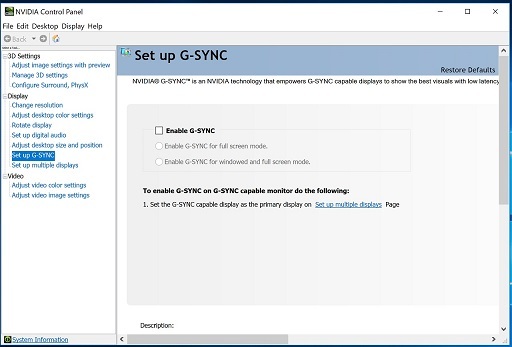 In order for a device to use G-Sync, it must contain a proprietary G-Sync module sold by NVidia. To learn how to activate the TPM module in your Eurocom Notebook please download the attached .PDF document. 1. Click Start, right-click Computer, and then click Properties. 2. In the Tasks list, click Advanced System Settings. 3. On the System Properties dialog box, click the Hardware tab, and then click Windows Update Driver Settings. 4. Select Never check for drivers when I connect a device. 5. Click OK twice, and then close the System dialog box. Can I put Linux on my Eurocom Notebook?? Linux cannot support RAID in a Eurocom Notebook. If you must use RAID then you must use a Windows operating system. Is it possible to turn the system fans on Full Speed to ensure my notebook remains cool? During normal use the fans will increase speed on their own as heat builds however, many users like to prevent the temps in their notebook from building so they toggle the fans to full speed before stressing the notebook. If you are just sitting down to intense gaming or starting some heavy workload on your notebook and you want to turn your fans on full speed to keep things nice and cool, simply use the keystroke FN-1 and this will toggle the fans to full speed. Toggle the FN-1 again and the fans will return to their normal speed as you choose. On the Eurocom Tornado notebook there is a Fan button on the top case that will throttle the fans to full speed and back to normal as it is pushed. 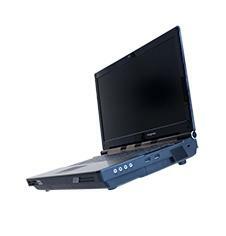 This is the only model Eurocom notebook that does not use the FN-1 selection to control fan speed. How do I flash my Notebook with a new BIOS? When I try to load Killer Wireless drivers, my computer locks up.